Word from the locals is that Arai Resort has a new owner. I went up for a look in August but the area was still sealed off and there was no work being done. Please update if anyone hears anything further. To be quite honest this place is a bit of a pain to get to and I think that's one of the reasons it went through the hoop about 3 years ago. You had to catch the train to Arai and then they had a shuttle bus - but it was a fair way - maybe 10k? 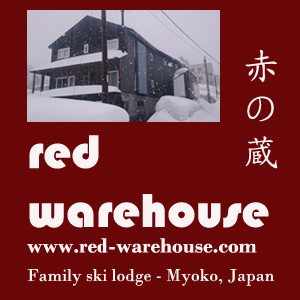 Great concept - would've done much better if placed in Yuzawa, Akakura, Hakuba or even Niseko. Still, if it opens up again I hope they can overcome some of the problems and do well. Look! Out on the slopes...it's Pikachu-ski! I never boarded there that much as the local Myokokogen resorts are much closer. A relative gave me some free passes so I checked it out 2 or 3 times. The hotel square is/was a really nice concept. There was some good terrain and it was a fair length from top to bottom. The only thing that really bothered me (apart from the locale) was the home trail. There was a spot in the middle that was dead flat. If you had a snowboard, rather than skis, you'd have to take your board off and walk a couple of hundred metres. With the right pricing/marketing I hope it can be successful. Hi, I'd be interested to know if it has been purchased. Looking at the snow fall history when it wad up on snow japan, with close to 15m snow, and close to 1000m vertical, it could be a powder and free ride capital on the main island. With some excellent steep terrain, it has a lot to offer. Considering the enlightened policy of off and on piste rules at niseko, that has purposefully created that niseko buzz, the opportunity to make arai mtn spa an exciting destination is there. If the new owners were to open up more terrain with a gondola to the top, and a new chair to right hand side steels, you would be close to world class. Also, of they were to open up the land market to others instead of being the solo land owner and provider of accom and food it would encourage outward and inward exposure and stimulate interest in the arai opportunity. Why do I have so many ideas about arai? Because I was contemplating getting a consortium together and look at buying it. If of has not been bought, then I would still consider trying to gather a consortium. Anyone interested? I'm trying to find out some info from a former Arai insider Tom. Will post it here if I hear of anything. Good luck, you have some good ideas. If you were able to sell off lots around for lodges and holiday homes that would certainly offset the costs of buying in. Can't put in any of my own limited wordly wealth but happy to support via the website.